We know that trusting someone to care for your child is a huge decision, so thats why we’ve introduced Kings Camps Taster Mornings. 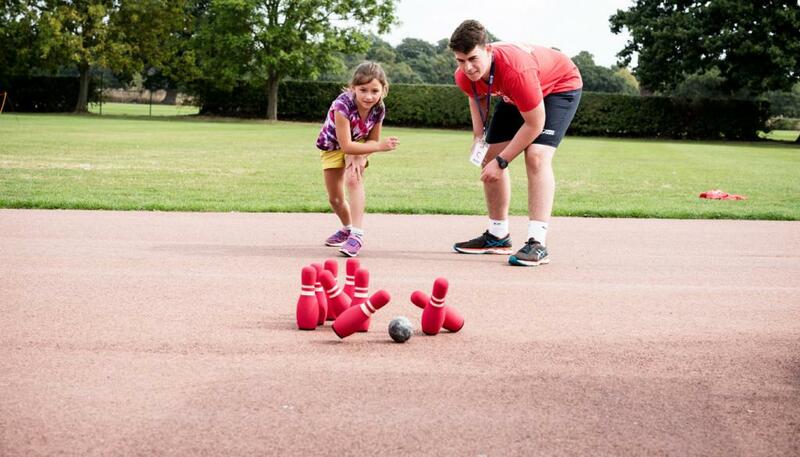 You can choose to do a ‘Kings Tour’ where you’ll be shown around camp by one of our Red Tops, or a ‘Kings Tour Stay and Play’, where your child can immerse themselves in a morning of sports and active play while you go on the tour. ‘Stay and Play’ sessions are strictly children-only and last for 3 hour and 15 minutes, allowing children to get a full taste of the unique Kings experience before being collected by parents at the end. It’s your chance to try Kings Camps, before committing to a full booking with us. Taster mornings take place on selected Friday’s (or Thursday on 4 day camps) between 9.15 – 12.30. During a Kings Tour Stay and Play, your children will get to spend 3 hours and 15 minutes playing sports, games and activities with other children on camp. Parents can collect their children at 12:30 when the Stay and Play session is over. You’ll also get a VIP tour of the venue to see all the facilities which your child will get to use while on camp with us. A Kings Tour is completely FREE. A Stay and Play session is just £15 per child and is available for children aged 5 – 11 years.